With the help of our great partner Estonian Development Cooperation we have been coming to Belarus already for almost 3 years. This weekend the Garage48 team is welcomed in Belarus, city of Grodno - one of the most ancient cities in Belarus. Despite some of the challenges along the way we have kicked off the hackathon with a lot of enthusiasm and can-do attitude from both, the local organisers and participants. We were humbled and excited at the same time how many people were interested in joining the hack - we had to cut the registrations at 130! 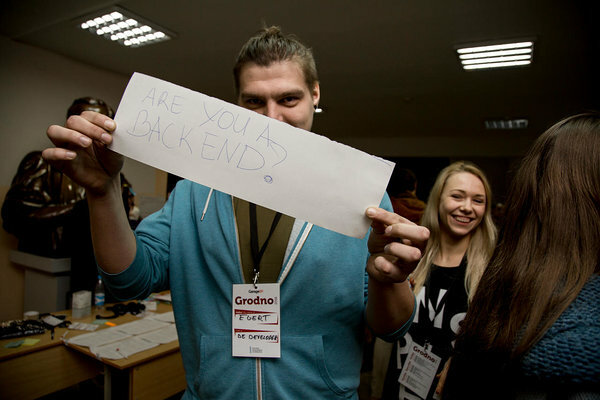 The event is the very first hackathon in Grodno and hopefully the start of a new culture for people interested in IT to come together and create cool things. 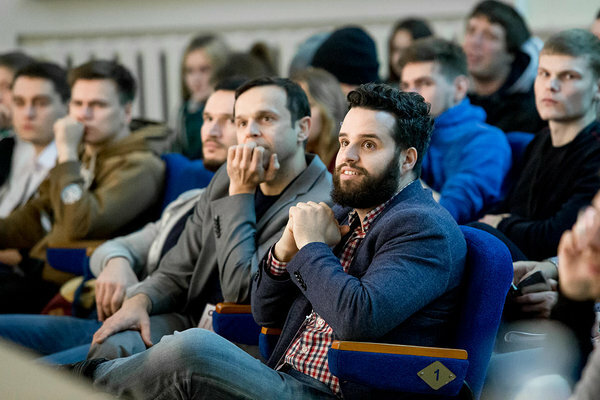 On Friday, 136 people showed up to the State University of Grodno halls to listen to the ideas, to see what the hackathon is all about, to mix and mingle with each other. Included were also the 30 people to travel over here from Latvia and Estonia to meet the great IT talent of Belarus. During pitching 26 people were brave enough to come up to the stage and use this 90 seconds to shine and explain their idea. 15 of them were submitted to the hackathon, with the requirement that you have to have all the necessary skills to deliver a working prototype on Sunday. The teams are helped throughout the weekend by a stellar mentor team. 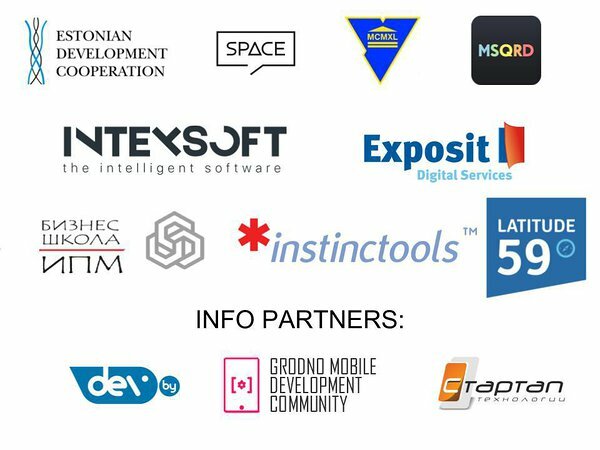 Including experts from Estonia, Latvia and Belarus they are a power house of design, tech and business skill. Led by our star mentor Cesar “The True Designer” Zeppini the team also includes Garage48 long time mentors Martin “The Grumpy Genius” Grüner, Konstantin “Ask Me Anything” Zhilin, Fred “The Design Guru” Moritz, Martin “The Techie” Verrev, Oskars “Awesomes” Gauks and also new additions from Latvia - Andrew Tchircoff, Janis Peisenieks and from Belarus - Alexey Spas, Kirill Shaskov and Eugen Shashkou. 1. 131 Application - Mobile app for health information services. 3. Contactus - Marketplace where businesses and customers, both partners can communicate directly. 4. Gaming Assistant - Social media platform for gaming. 5. ImeetU - Mobile app to find-organize meeting times. 6. Instatrust - System to avoid paying unnecessary taxes. 7. KTV App - Mobile karaoke app where people are scored. 8. Meetallica - Website to find other musicians to their band. 9. Noopolis - Application to help people find best place for living. 10. avo.by - trust building service for local businesses for tourists. 11. Scop - Messenger for businesspeople where no typing is needed. 12. Smart Sub - AI for web marketing analytics. 13. SMB Tools - Virtual private assistant. 14. SteemStagram - Video/photo social media platform that rewards users who contribute content with cryptocurrency. 15. Select.guide - Remote guide service for tourists. 16. Be Closer - Find a friend in vicinity when there are many people. 17. Online Teacher - Platform for creating online video courses. 18. Geek Coffee - App for hackathon organizing. 19. Bagrat - Mobile application to get information about the people in same room what the people like to share. 21. ClickComplete - App to link people together based on skills. 22. #Gopose. - Platform for bringing together models and agencies for castings. 23. iHelpMahNeighbor - App to connect neighbours. 25. Adfreex - Sponsored content free Fackebook experience. 26. Kotan Photo - automated photo booth for event organizers. Good luck to all of them. 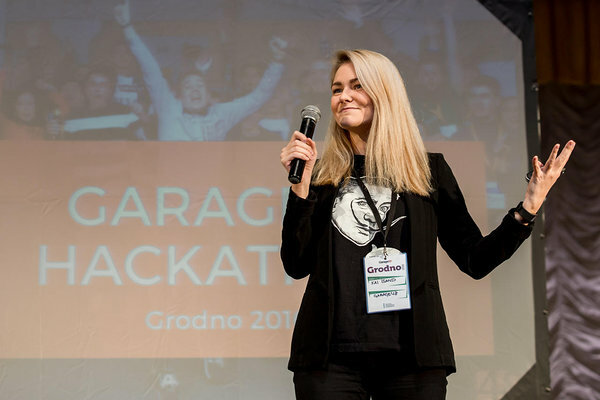 Follow us on Facebook and Instagram (@Garage48) for all the moments from the weekend. And watch the live demos tomorrow, 27th Nov @ 5.30pm GMT+3.